There’s a lot to love about Black Panther. It’s the first superhero movie with a majority black cast and it contains a brilliant soundtrack by rap legend Kendrick Lamar. But more importantly, the movie’s core values reflect the culture of a generation characterized by diversity, inclusion, and a fiery drive to spread these principles. Black Panther is Marvel’s two hour love letter to multiculturalism. 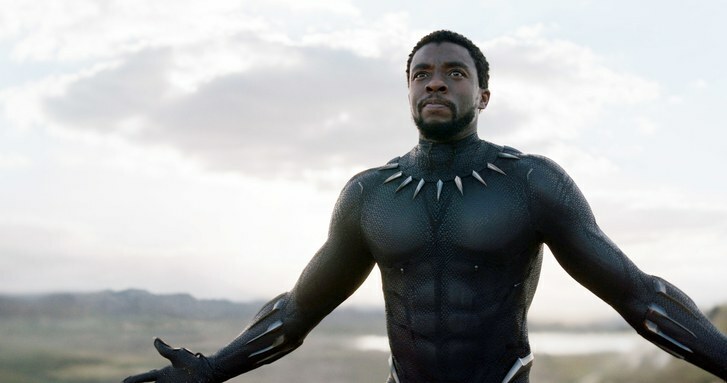 After all, its status as the first distinctively non-white blockbuster superhero movie is testament to the growing diversity of Marvel’s target audience, Generation Z (those born from the mid-1990s to the early-2000s). Generation Z, also known as “Centennials”, are the most worldly generation because we have come of age in an age of social media. According to U.S. Census data from 2000 to 2010, Generation Z is the most multicultural generation in history, with 48 percent of Generation Z identifying as non-Caucasian. But where is the diversity and cultural richness our generation is known for? We grew up with cheering for Marvel’s Iron Man, Captain America, and Thor, and DC’s Batman and Superman, but while they are all inspiring heroes with compelling stories, Black Panther is the first hero that our increasingly-diverse generation can relate to the most. Once announced, Black Panther quickly sold the most pre-sale tickets for a superhero movie in history, according to imdb.com. Generation Z was finally getting the representation it deserved: just one year earlier, Spider-Man: Homecoming gave us a chance to see a 15-year-old sophomore as one of Marvel’s most iconic superheroes. Likewise, Black Panther is proof that although our generation is the most diverse and the most accepting of diversity. In a generation characterized by the advocacy for social justice and the abandonment of many traditional (and stifling) values, this movie is everything we could hope for. Without spoiling too much, the core conflict of the film involves race and identity politics, and one of the most poignant quotes from the movie involves a heartbreaking reference to slavery. Without a doubt, Black Panther will claim its place in history as one of the most accurate representations of the diversity of Generation Z. As an Asian-American, I can’t help but feel pride when recognizing the revolutionary multiculturalism present in both Black Panther and our own generation. This message of multiculturalism goes into the soundtrack as well, one personally curated and produced by Kendrick Lamar. Outspoken advocate for minority empowerment, the decision for such a high-profile rapper to control an essential part of the movie was a bold but necessary move. On the title track, Lamar spits “sisters and brothers in unison, not because of me / Because we don’t glue with the opposition, we glue with peace.” Unity within diversity has always been a central theme to Lamar’s music, and Black Panther: The Album is an ode to the beauty of the multiculturalism this theme invokes. If anything can be taken away from the movie, it should be the recognition of the movie’s status as a champion of Generation Z. And it’s succeeded as a result: Black Panther opened with a jaw-dropping $218 million dollars, making it the fifth-highest opening for a film of all time. Its success proves Generation Z not only needs, but wants, more representation on the big screen. T’Challa may not be a member of Generation Z, but his fiery sister, Shuri (Letita Wright), a 16-year-old black girl who serves as the scientific mind of Wakanda, is. This movie isn’t supposed to have every character be a member of Generation Z; just serve as its champion.